A real surprise for me earlier this summer was the discovery of the band Lund Quartet. I first heard the band after a jazz competition in their hometown of Bristol. I didn't hear anything about them again until last month when I stumbled across their name the site Bandcamp. They've been on the scene for about 3 years, but have built a nice following in the UK jazz scene. And finally everyone else gets to find out what they are all about, with their self titled debut. Combining the raw urban energy of the vibrant Bristol scene with European aesthetics, Lund Quartet explodes in your ear drums like a bouillabaisse of Harold Budd, Portico Quartet, Arve Henriksen and Portishead. It's a mixture that's delicate, dark and industrial. "Sequoia" reflects the band's diverse interests of ambient tones, trip hop grooves and pulsating piano dynamics. Lots of echo treatments and subtle uses of electronics/turntables hitting against Child's tight drum kit. The reverberation soon becomes hypnotic and emotional. "Loves Madness" adds a playful Latin tinge aided by dark, eerie sampled vocals from the great African singer, Miram Makeba, that float in the mix are almost reminiscent of Beth Gibbons (of Portishead) combined with Ute Lemper. Adcock's performance is strong and holds the piece together with mastery. "Lonn" allows Muscat and Wittlin to carry the weight with a deep funky progression in association with Adcock and Childs' circling notes. Adcock adds in his violin, which sounds so beautiful within the texture of this groove. It really is killer. The soft touch of "Zill Bell" is the absolute perfect way to end this experience, filled with an almost classical reverence but infused with a sense of dark ambience projected through Adcock and Muscat's abraded notes. Lund Quartet's subtle use of electronics and turntables is brilliant. It helps in the deconstruction of acoustic instruments and allows the group's personality to rise above the notes. The ethereal quality that the quartet emits is exquisite and should be applauded by fans of jazztronica and European jazz alike. 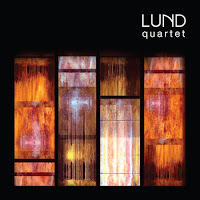 Lund Quartet again show that the UK scene is bubbling with creative talent from every direction of the isle. 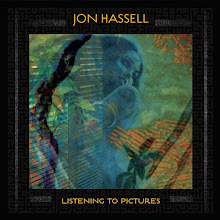 This is an album that I can't stop from its infinite loop. Highly, Highly Recommended!